This city, located between two rivers, is a mecca for hunters: small game, squirrels, rabbits, raccoons, pheasants, ducks and geese, to name a few. Deer hunting also has a very pleasurable and successful season around the town. New Ulm has nearly 25,000 acres of public hunting land nearby. The home of the MNDNR Southern Region Headquarters is located here in New Ulm. Stop by to obtain information on outdoor recreational opportunities and natural resources, such as hiking, biking, native prairies, fishing, hunting, wildlife watching, snowmobiling, camping, canoeing and river maps. 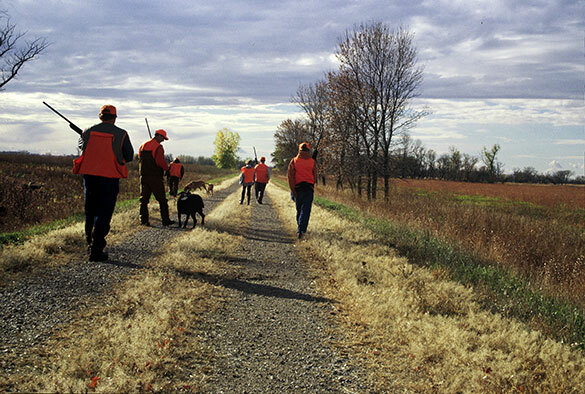 For a rewarding hunting experience, try River Ridge Gun Club, a private reserve with over 1,000 acres and a sporting clay course. For more information, call 507-359-5770.